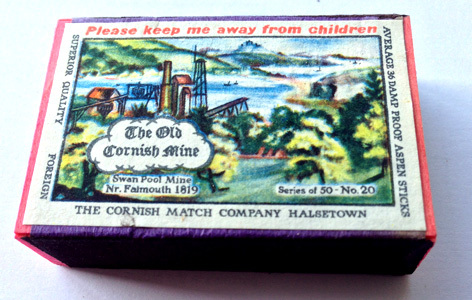 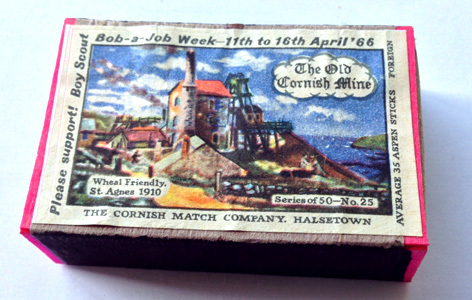 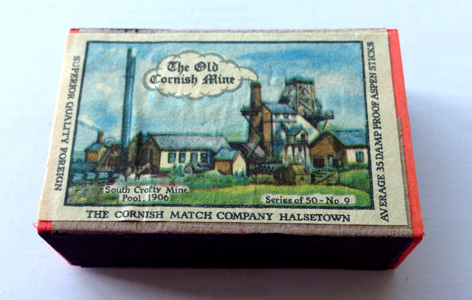 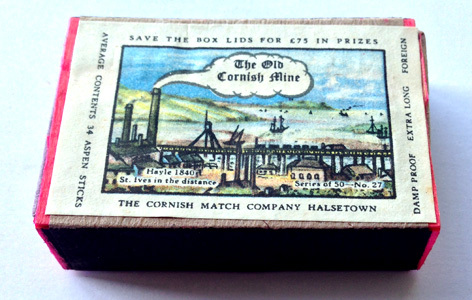 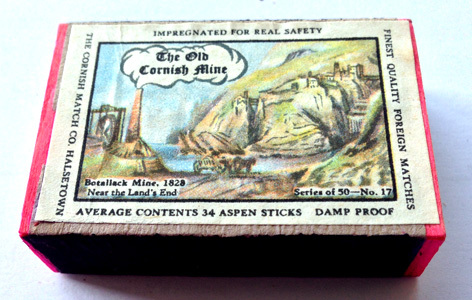 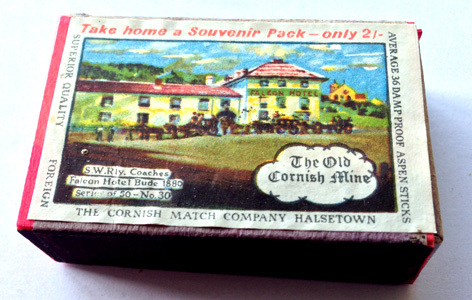 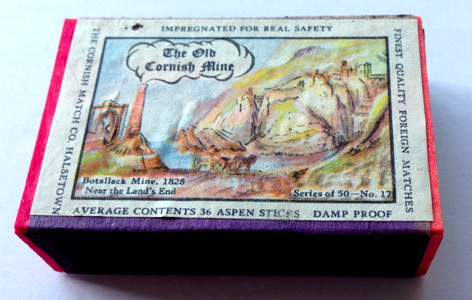 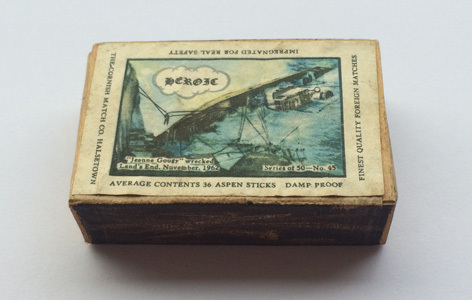 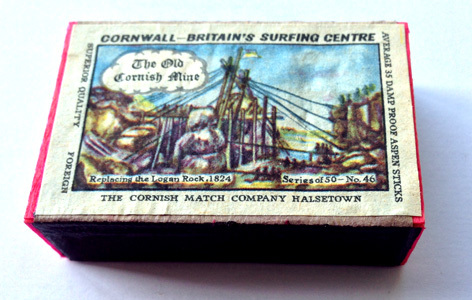 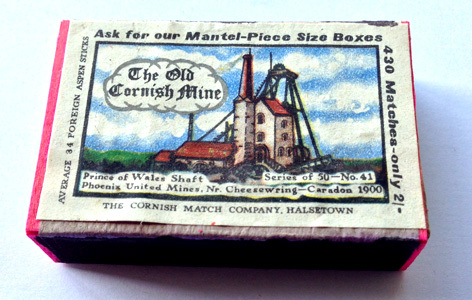 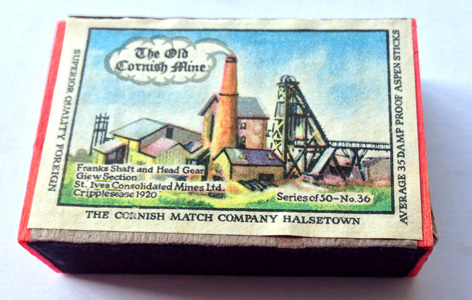 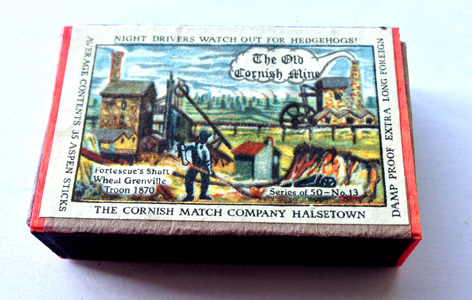 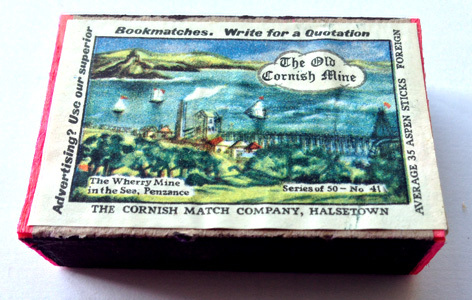 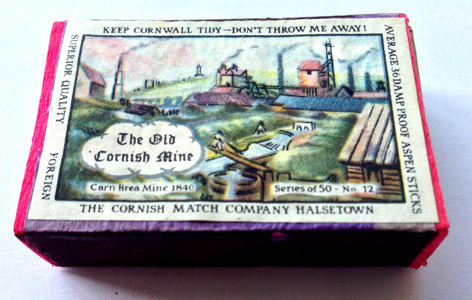 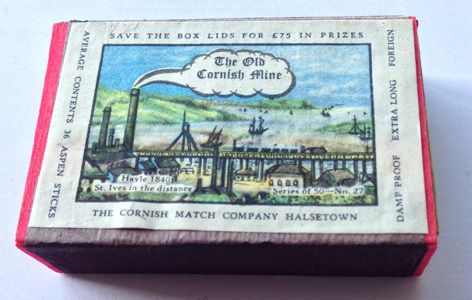 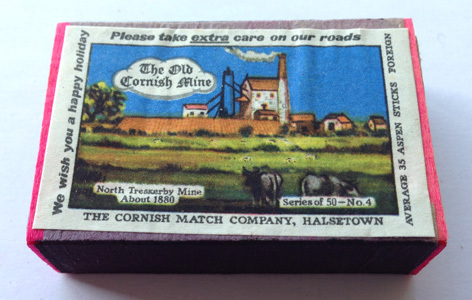 The Old Cornish Mine regular size labels were stuck onto wood boxes that were imported from USSR. 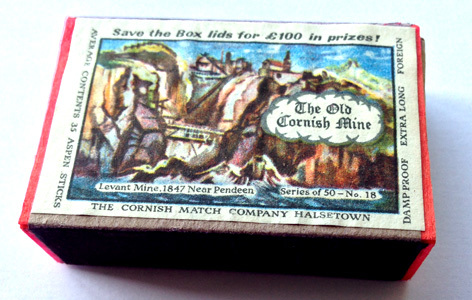 These boxes appeared first with 36 contents in 1964 then with 35 contents in 1965 and 34 contents in 1966. 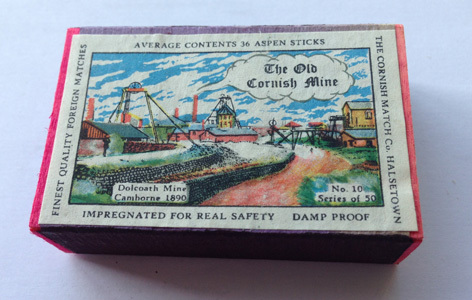 The boxes were packed into dozen packets and then into gross packets for shipping to the retailer.